While its relatively easy to Create permission levels in SharePoint 2010 UI, We had 2000+ site collections in a web applications and scripting/programmatic way to create permission level would be the best choice. 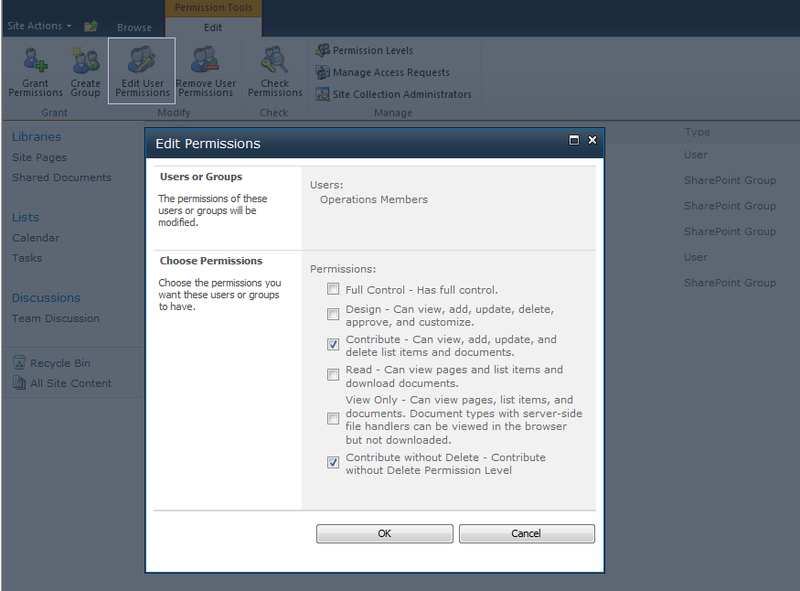 We wanted to do a SharePoint permission level customization by eliminating delete capability from contributor permission level. Lets copy the contributor permission and remove the "Delete" capability from it. $ContributeNoDelete.Description="Contribute without Delete Permission Level"
$ContributeNoDelete.BasePermissions="ViewListItems, AddListItems, EditListItems,  OpenItems, ViewVersions, ManagePersonalViews, ViewFormPages, Open, ViewPages, CreateSSCSite, BrowseDirectories, BrowseUserInfo, AddDelPrivateWebParts, UpdatePersonalWebParts, UseClientIntegration, UseRemoteAPIs, CreateAlerts, EditMyUserInfo"
write-host "Permission level created successfully"
Write-Host "Permission Level granted to the Group"
This will create a SharePoint 2010 custom permission level"Contribute without Delete" and add permission level to group: "Operations Members" with the created permission level.